Here’s bringing you a thing to escape from the city blues and heavy pollution. At a distance of 80 km approximately from Gachibowli Cross Roads, you find this place called Ananthagiri Hills which provides you with not one but three things to check out. First is the famous Ananthagiri Padmanabha Swamy temple that takes you to the Ananthagiri Forest maintained by forest officers to do trekking. Second is the Hills that provides you with an ample amount of open land to hike or trek and click great pictures. Remember this place is worth a visit only during monsoons otherwise the land gets dry and the grass turns brown during the winters. The third is the Nagasamudram/Kotepally Lake near Kotipally Reservoir at a distance of 30 km from the hills. Beautiful clean waters of the lake to sit by and have Nimbu Pani with hotly served Maggi makes your time worth sitting there. 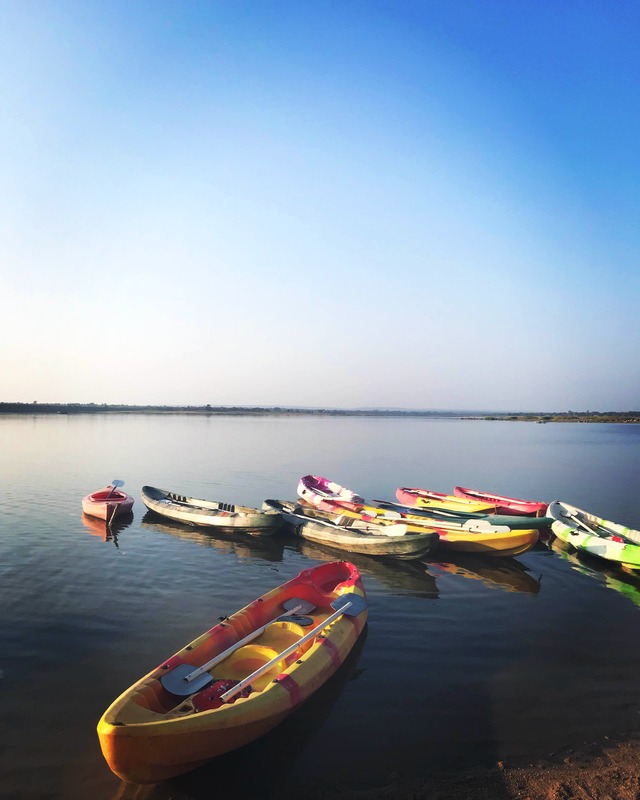 For the adventure junkies, they have come up with an extremely pleasant and beautiful experience with the waters inside to make you comfortable with Kayaking. Provided with life jackets, the activity adds more fun to the place for and further have more fun till late evening by watching the beautiful sunsets.